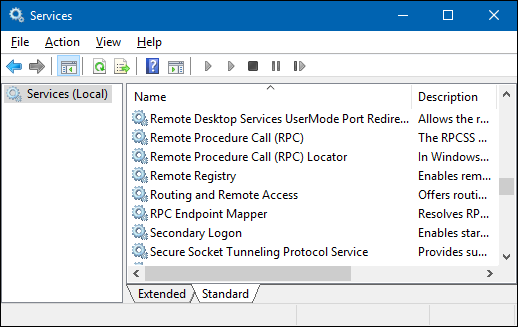 If you are a fan of tweaking your system and disabling services, you might find that over time your Windows Services list becomes large and unwieldy. It’s easy enough to delete a Windows service using the Command Prompt. A big warning, though. When you delete a service, it’s gone—and services can be a real pain to get back. 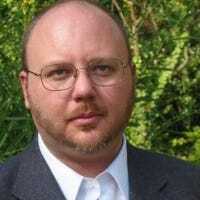 We really don’t recommend deleting services at all, unless you’re dealing with a very particular situation like cleaning up after a program uninstalled improperly or rooting out a malware infestation. Typically, just disabling a service is plenty, especially if all you’re really trying to do is tweak your system performance (which probably won’t work as well as you might hope, anyway). That said, if you do need to delete a service, you just need to find the actual name of that service and then issue a single command from the Command Prompt. The techniques we’re covering here should work in pretty much any version of Windows—from XP all the way up through 10. The first thing you’ll need to do is identify the full name of the service you want to delete. 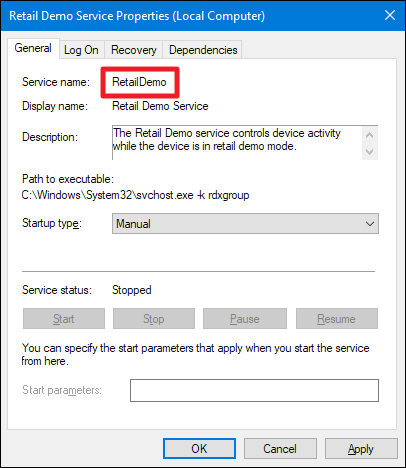 In our example, we’re using the RetailDemo service—a curious thing that activates a hidden command for changing Windows into a retail service mode (and pretty much erasing all personal docs and resetting your PC to it’s default state), so it’s actually a good example of a service you might not want around. 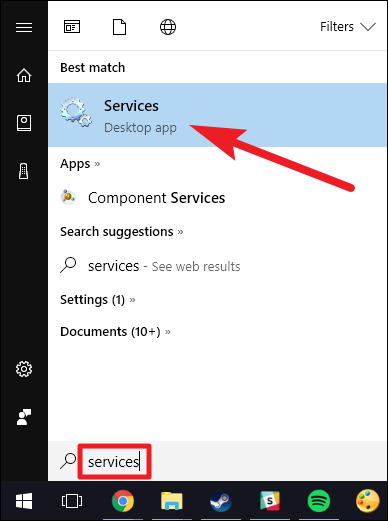 Hit Start, type “services” into the search box, and then click the “Services” result. In the “Services” window, scroll down and find the service you’re after. Right-click the service and choose the “Properties” command. 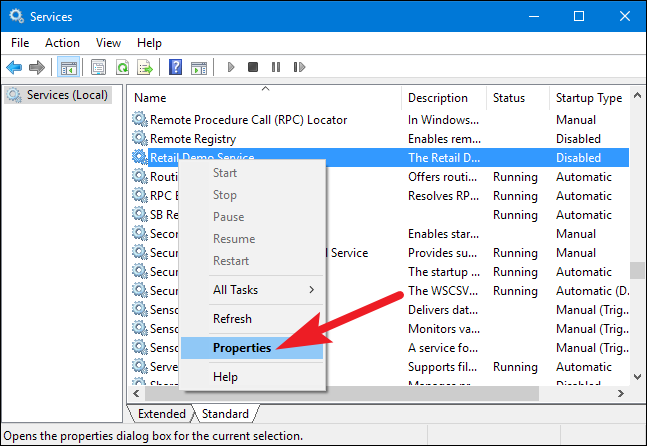 In the service’s properties window, copy (or write down) the text to the right of the “Service name” entry. When you have the service’s name, you can go ahead and close the properties window and the “Services” window. Now that you have the name of the service you want to delete, you’ll need to open the Command Prompt with administrative privileges to do the deleting. Click Start, and then type “cmd” into the search box. 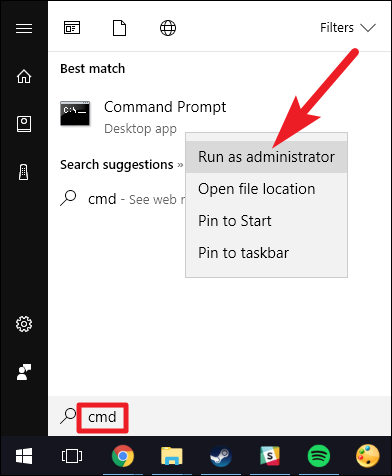 Right-click the “Command Prompt” result, and then choose the “Run as administrator” command. Note: If the service you’re deleting has any spaces in the name, you’ll have to enclose the name in quotes when you type the command. Now, if you use the F5 key to refresh your Services list, you’ll see that the service is gone. Deleting a service in Windows is pretty easy, but we’d again like to caution you to think long and hard before deleting a service, because it’s very difficult to get them back once they’re gone.